Revell put out two nicely matching sets some time ago on this topic. 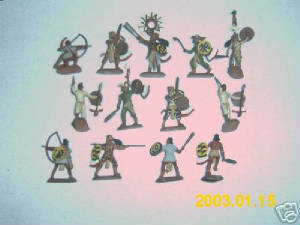 Recently I have acquired a number of painted Aztec figures (shown below). 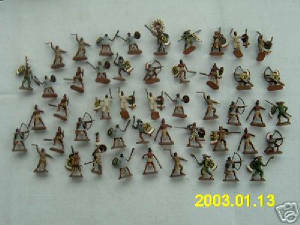 Given the historical disparity in numbers I will need a lot more Aztecs yet!! 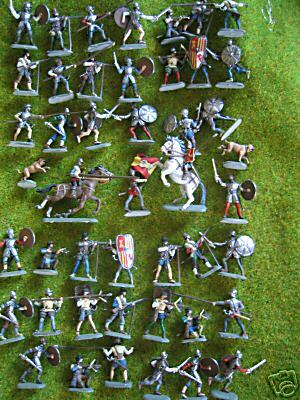 36 Revell plastic Aztecs all based and nicely painted as a De Bellis Antiquitatis army (25mm bases). There are 6 Psiloi and 8 Auxilia bases.